Bali has plenty activities to offer, among all the typical sightseeing spots around, the numerous islands to visit, the natural and authentic places to discover and the Indonesian culture to face with all the historical temples! But this is also the place where you can find most spectacular outdoor adventures you can experience. 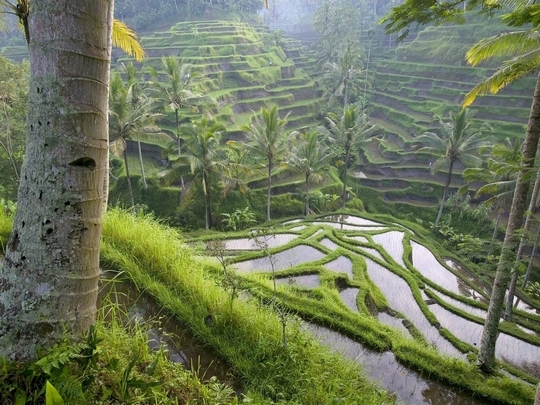 From surfing to trek, Bali has a rich biodiversity making a very popular place to visit in for the tourists and representing such a unique scene in the world. One of the most exciting outdoor activities is the white water rafting trip. You will take advantage of views like no others as you take in the amazing view of the shorelines and the areas around you. In addition of that, with the fun of riding the rapids and you will have all the elements gathered for a perfect adventure. There are two famous rivers in Bali where water rafting is taking place. The Telagawaja River located in Karangasem regency, and the Ayung River which is situated in Ubud. Both are actually offering an excellent white water experience and the most beautiful landscapes and scene for you to enjoy the nature of Indonesia. You will have such breathtaking views to admire! Enjoy navigating through the numerous rapids and the difficulties of steering clear of the rocks. Paddle under a waterfall and enjoy all the dynamics of the most challenging white rafting experience. You will definitely enjoy the white water experience no matter what your level is, from the beginners to a very advanced level. It is not only a way to make some adrenalin and make some exercise outdoor, but it represents also another way to explore the Balinese natural environment in its rawest form and get to know better its beauty. 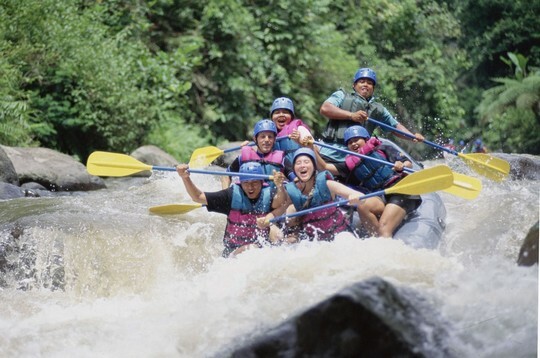 Some of the tour operators are even offering to the families the possibility to do white water rafting trips and are now providing a package for them, so this became a real activity catered for a large public. For the addicts to adrenalin, you won’t be disappointed at all when you will head down the river and discover just how the nature and the local environment is blessed. The series of sights and sounds will tantalize every one of your senses. Also, you better not forget to bring with you your GoPro or video camera. You will surely share this with your friends and family on your way back home. Bali is so blessed by its natural environment and has a lot to offer to every kind of visitors. 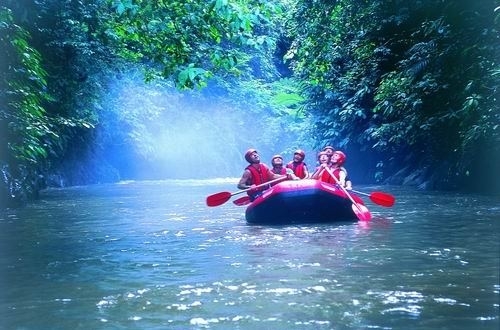 But if you love the outdoors, enjoy spending time connecting with the nature, and really want to see and feel what Bali has to offer in its rawest form white water rafting is just one adventure you can enjoy in Bali. Besides, and this is important to know, it is really affordable! Your budget will easily handle all of the outdoor adventures you decide to take part in. It is a real pleasant surprise. Now get ready to rock your senses.